WD3 Wargames Directory 3.4 • View topic - Pendraken's 1092 Releases in 5 years! 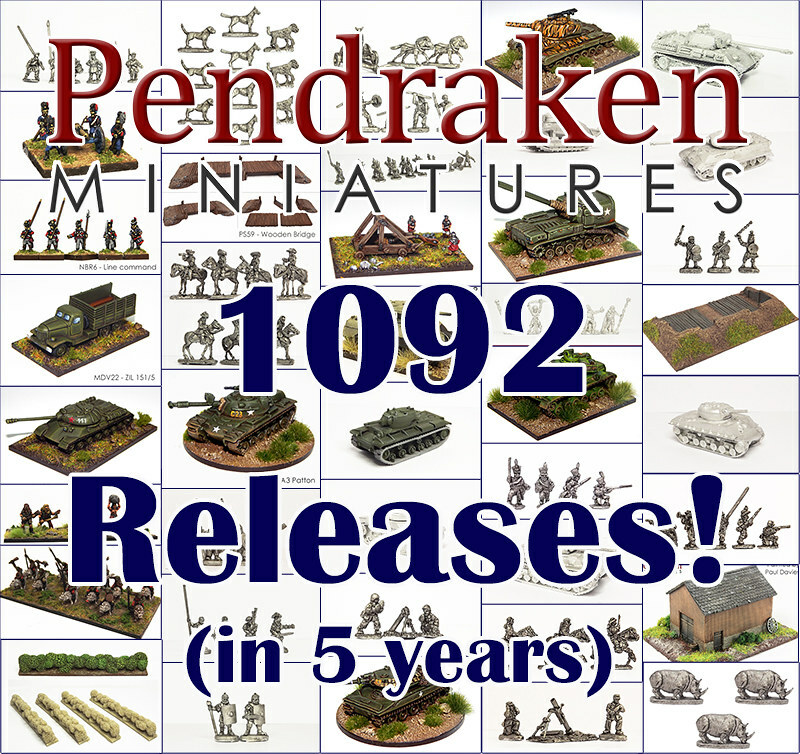 Pendraken's 1092 Releases in 5 years! We managed to hit a 4-figure releases total a few years ago but this time we've gone even further! After a very busy 2018 we've now released a massive 1092 new products over the last 5 years. The amount of time, money and effort that goes into our releases schedule is huge and it's one of the key aspects of our business. We've spent a lot of years developing and expanding our ranges to give people more options and make this scale more appealable, so we hope that folks are seeing all of these new ranges and giving 10mm a look for their next project. This coming year we've got another load of new releases, including the 1809 expansion, Indian Mutiny, revamped Crimean War, Ancient Greeks, Persians and Indians, along with an assortment of odds and ends for other ranges as well. So, busy times ahead!